Synchronous motors are just one component in our extensive line of motor products. Synchronous motors are able to drive generators, and are produced to provide substantial amounts of horsepower. Solid operation and outstanding durability are part of the design of synchronous motors. 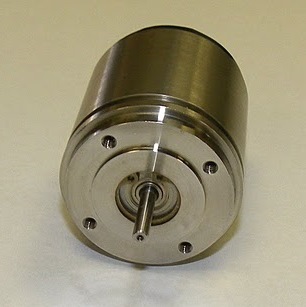 Feedback sensors such as tachometers and encoders can be incorporated into our synchronous, hysteresis and BLDC motors. Gearheads and gearboxes may also be incorporated for high-torque actuation systems. See Precision Motors. Hysteresis motors are designed to produce smooth and constant velocity. These motors have been used in many military and commercial applications, and almost anywhere reliable, consistent operation is needed. All motors from Island Components have been enhanced through the use of our motor optimization software and controllers. To customize our motor and system components to your needs, complete a quote request. For any additional questions, or to learn more about the assemblies, actuators, electronics and all of the research and development that goes into our components, contact Island Components. See Precision Motors.